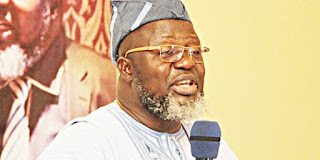 The Minister of Communications, Mr Adebayo Shittu, says Nigeria is losing about N127bn which is 0.8 per cent of the country’s Gross Domestic Products, to cybercrime yearly. Shittu said this in Abuja on Tuesday at the opening of the 26th National Conference and Exhibition of the Nigeria Computer Society. He said many Nigerians now had access to internet facilities; using the enormous opportunities this digital infrastructure had brought to work, transact business, campaign, communicate, learn, interact and relax. “To address emerging cyber threats, government has set up computer emergency response teams through the Office of the National Security Adviser and NITDA. “Additionally, to further improve the nation’s preparedness to secure cyberspace, the Cybercrime Advisory Council has also been inaugurated. “The council is expected to facilitate the implementation of the Cybercrime Act, 2015, as well as the National Cyber Security Policy and Strategy. The minister said that the Ministry of Communications was engaging the Nigerian Army on possible technology collaboration to tackle the activities of insurgents and other security challenges in the country. Shittu said that it was appropriate that the efforts of the armed forces and the significant achievements in the fight against Boko Haram were recognised. He said that though the army was already using some technology platforms, there may be some requiring close attention by the conference.